The Dinner Party Menu is extremely important and changes according to your guests. Italian food is my specialty and at a recent dinner party I hosted I shared LOTS of my favourite homemade dinner recipes with some close family and foodie friends. 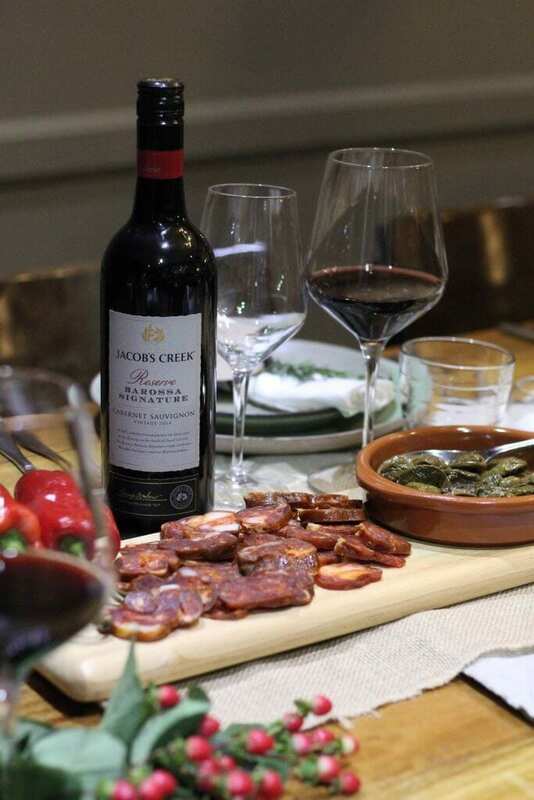 The special private dinner party was held on behalf of Jacob’s Creek and the menu was filled with Italian recipes that all have a story to tell. Here I’m going to share the menu from the night as well as the story behind each dish! 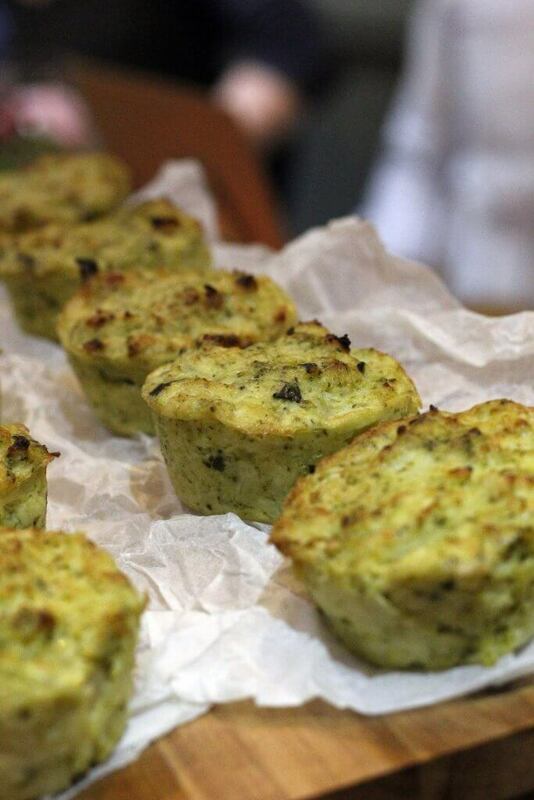 Italian food feasts always start with a drink and an appetiser to warm up the palette! 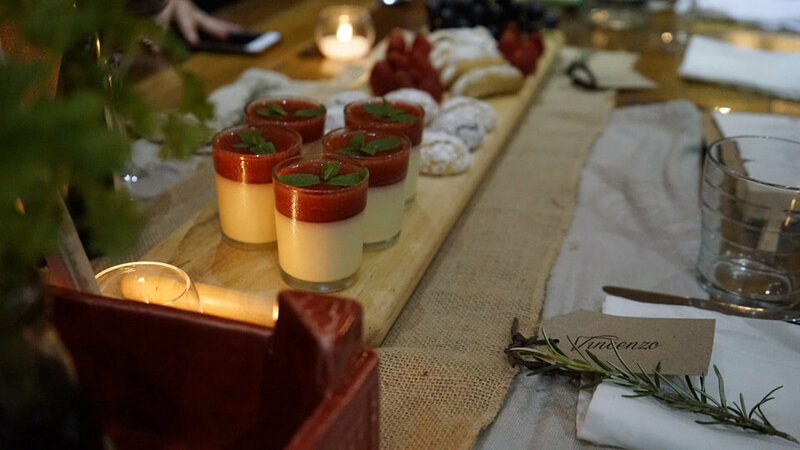 When my guests arrived, I welcomed them with a glass of sparkling Jacob’s Creek Reserve Chardonnay Pinot Noir and two types of mini rice balls (Arancini) filled with spinach and ricotta, and ragu. Homemade Arancini are one of the most popular recipes I have on my channel! Learn how to make them here: How to make Homemade Arancini. Maaaany dishes were prepared for the antipasto – mainly because it’s so hard to decide with Italian food! For my wife, it is her favourite part of the meal and she eats so much she gets full and can’t fit in the other courses. But I don’t mind because I get to eat her leftovers! Ha! 1. Homemade Salami, Green Olives and Parmigiano Reggiano. Along with deliciously salty homemade salami and green olives which my Father-in-law prepares fresh every year, I also served Parmigiano Reggiano with honey – have you ever tried this? You dip the cheese into the honey and immediately taste the perfect combination of salty and sweet. I remember the first time I tasted this back in Italy and now, if Parmigiano Reggiano is on the table, it MUST be next to a serving of FRESH honey – YUM. Try it and let me know what you think! All of these were enjoyed with an accompaniment of Jacob’s Creek Reserve Adelaide Hills Sauvignon Blanc which matches really well with all of the vegetarian Italian food that was served. 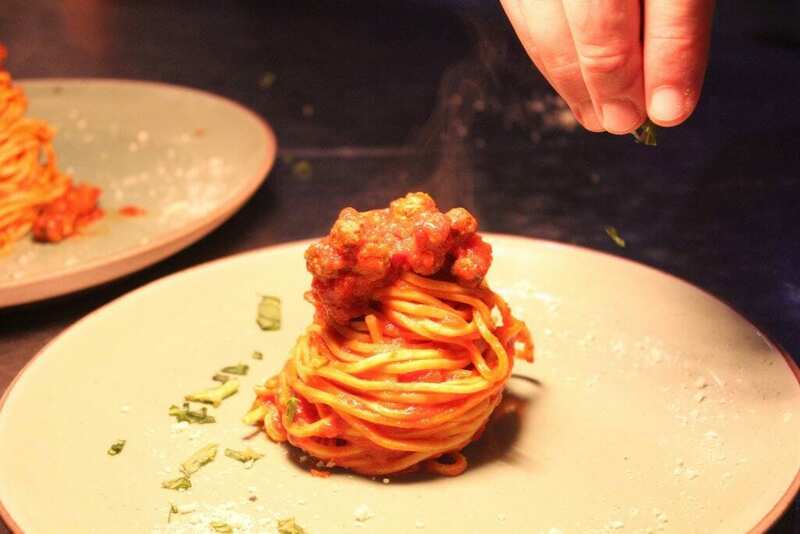 Italian food like this must be served with a drop of red, and the flavours of Jacob’s Creek Reserve Coonawarra Cabernet Sauvignon was just the right touch. WHAT A FEAST! What do you think? Will you be joining me at my next Dinner party? Maybe I can come to your house and cook for you and your friends!I can organize the best dinner party menu of your life. Let me know if I can get an invitation by commenting below.